And you will now learn to tell it. Everyone has a story. The same raw facts and statistics that make up your business have a deeper, human component that lies behind it: you. It is simply a matter of learning to tell your story. What values are personally important to you? How do you bring those values to your venture? Did they spark the idea? Do you look to them for inspiration in the running of your company? Where did you get the idea for your venture? What need to you see? Did you personally experience the need? Where did you learn these values? Was there a transformative experience in your life when you realized the idea? Where there key figures in your life who instill these values in you? In what way do you hope to contribute to the world through your venture? This can be both direct – through the immediate results of your work, or indirect – such as a set contribution of time or effort towards a worthy cause. By identifying what you passionately believe in, your why, and then figuring out the story of where you learned your values and how you apply them to your company, you are getting in touch with your story. It is this story that can help you build connections, cross cultural and language boundries, and find common ground with humans all over the world – because everyone loves a story. Now that you’ve found your story, you can start learning how to tell it. 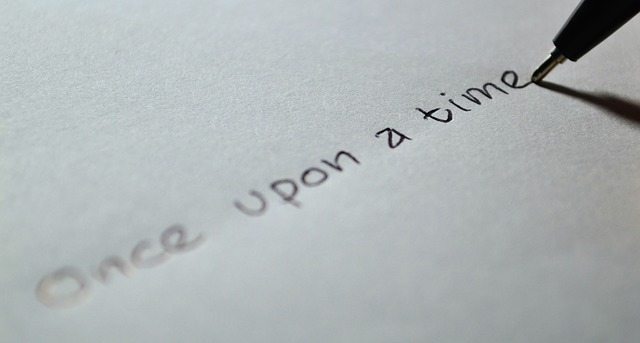 Storytelling is an art, a learned skill that everyone can get better at. Here are a few practical tips to make your story more engaging. Start in the middle. A good story drops you right into the thick of things, then works on filling in the details as necessary. Bring your listeners – whether they are virtual or right in front of you – into the heat of the action as soon as possible. Find the drama. Every engaging story has conflict, the point in which you are not sure if the hero will succeed or whether the fire breathing dragon will get the best of him. Find those points of insecurity, the times when things could have gone either way, and tell them. In storytelling, your weaknesses become your strength. Keep your story short and the end in mind. Better that your story be too short than too long, so don’t ramble. Figure out what the punchline of your story is, and then find the most engaging way to get there. We hope these questions and guidelines help you identify your personal story. Next week we’ll address some of the biggest fears people have when they approach the task of actually sharing their story.